Home / Gist / Jim Iyke / Nadia Buari / news / #GJGIST: Jim Iyke ‘move mountains’ to get a pink limousine for Nadia Buari on her birthday! #GJGIST: Jim Iyke ‘move mountains’ to get a pink limousine for Nadia Buari on her birthday! 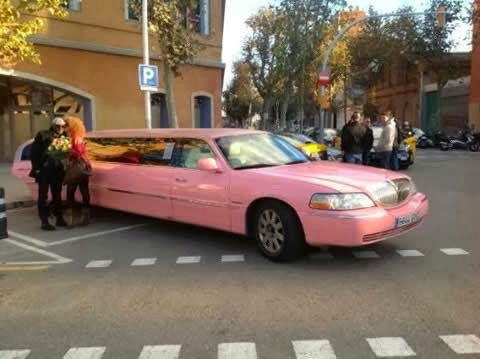 and Nadia Buari toured the world in a pink limousine to celebrate her birthday. However, Jim Iyke shared the above photo with the caption "Her Fav colour is pink. Had to move mountains to find a Pink Limo.Well, I always get wat I want"
Nadia thanked everyone who wished her well and she says "Thank u guys for all the *well wishes*... I had an amazing birthday.